This is a commemoration post to Whitney Elizabeth Houston, Pop Icon, Singer, Actress, Wife, Mother, Daughter, Niece, Goddaughter and Trailblazer for African American Entertainers. Cissy Houston, Whitney's Mom made the decision to have Whitney's Homegoing celebration at The New Hope Baptist Church in Newark, New Jersey. We thank Cissy Houston for bold faith in her God. The world went to church today on Saturday, February 19, 2012 with the single camera inside the church. Cissy Houston dared to express to the world her faith in Jesus, as well as Whitney's faith in the Lord. The New Hope Baptist Church is the foundation of the Houston family's spiritual life. This is the faith community into which Whitney grew and flourished as a singer. Her mother, Cissy was the choir director there. 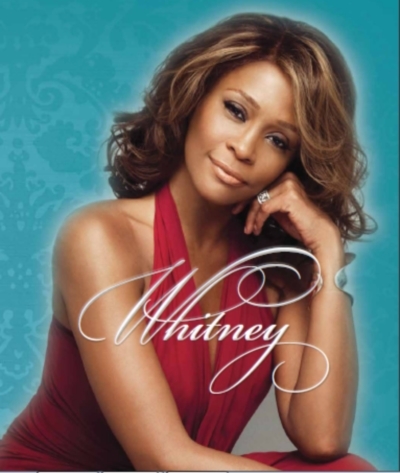 It is commendable that the Whitney's success did not effect her relationship with her Savior or her church community. She remained grounded in her spiritual roots of the church and tied to the Christian family of New Hope Baptist Church. This speaks volumes for the character of Whitney Houston. CNN was forced to broadcast an African American Homegoing Celebration which showcased the faith and church of Whitney Houston's family during African American History Month. I am unsure if CNN will rebroadcast the services because the Black Church is not something that the media considers important enough to broadcast to the world. 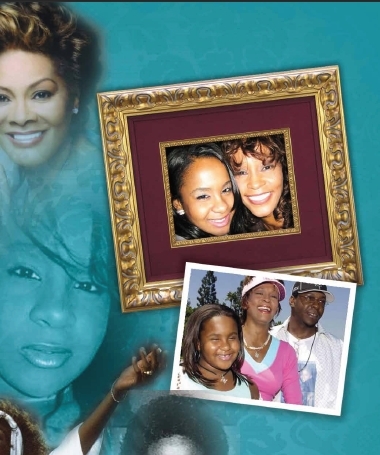 The media lacks understanding or compassion for the Black Church and Whitney's family to celebrate her life. CNN had Don Lemon at the Homegoing Celebration focusing on the negative side of Whitney's past. Then media continues to distort the life of Whitney Houston during a time of mourning for a family which choses to uplift the memory and celebrate the loss of Whitney Houston. My instincts lead me to tweet my observations of Whitney's Homegoing Celebration to the world. My tweets were favorited and retweeted by a Christian woman in Christchurch, New Zealand. I also was retweeted by Gospel Singer Israel Houghton in Singapore. When I saw that Piers Morgan, a British anchor was one of the moderators with Soledad O"Brien, I knew that the story needed to be told with context that only a Black Christian could give without the restraints of the media moguls. These are my tweets and retweets from the #WhitneyCNN chat feed on twitter. Twitter conversation is read from bottom to top, so scroll down at the bottom of the page to begin reading my observations from the Whitney Houston Homegoing Celebration. Please comment and share this blog post on facebook, twitter, googple plus,etc. #WhitneyCNN God thank you for sending us your Angel Whitney Elizabeth Houston, 1963-2012. #WhitneyCNN Grateful! Grateful Grateful Flowing through my heart. New Hope Baptist Church Choir. 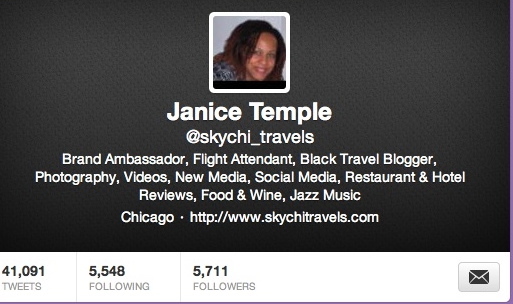 RT @skychi_travels: #WhitneyCNN Rev. Marvin Winans singing Amen. Let the church say Amen. God has spoken. #WhitneyCNN Rev. Jesse Jackson says there was dignity. It was not a media circus. #WhitneyCNN The funeral procession is lining up. Rev. Jackson with Don Lemon. It was emotional and uplifting. #WhitneyCNN Putting the casket in the funeral car. Gold casket in a gold hearse. #WhitneyCNN "I hope that life treats you kind. I wish you happiness. I wish you joy and happiness. I WILL ALWAYS LOVE YOU. #WhitneyCNN The casket must go first. Clearing the aisle. Playing Whitney singing "I will Always Love You. #WhitneyCNN Asking all two be seated except the first three rows. We have more stars than the Grammys. Family will exit first. #WhitneyCNN Gov. NJ and Mayor NJ paying respect to the family. #WhitneyCNN Everyone is standing. They removed the flowers from the casket. Pastor paying respect to the family. #WhitneyCNN God has spoken. Let the church say Amen. Amen. #WhitneyCNN Rev. Marvin Winans singing Amen. Let the church say Amen. God has spoken. Are you seeking the things that are opposite His Kingdom before seeking His Kingdom? #WhitneyCNN Give all the thought to prioritize. Let's leave here impacted by your life. #WhitneyCNN Our faith in God is not something we attach at the end of our life. #WhitneyCNN God is still with me. He gotcha. #WhitneyCNN I want my life to please him. The life we live is the gift from God. #WhitneyCNN Sometimes the world is afraid of church folk. #WhitneyCNN Just come Sunday. I do this every Sunday. God desires every one to be healthy and prosperous. God says I got you. #WhitneyCNN I just believe the bible. This manual gave us testimonies and stories. #WhitneyCNN No man can serve two masters. #WhitneyCNN When people look at the bible they look at it from the wrong perspective. The bible is the owner's manual. #WhitneyCNN Look and somebody and say I am significant. You did not just show up. #WhitneyCNN Jesus saying I don't you to become anxious about life. I don't you to think that life is without purpose. #WhitneyCNN Don't think that the church is for people who can't get a gig elsewhere. #WhitneyCNN Faith always moves toward its goal. #WhitneyCNN Now faith is the substance of things hoped for. #WhitneyCNN Rev. Marvin Winans. Don't get nervous about life. Jesus came with purpose and sought to achieve it. #WhitneyCNN Jesus spoke with so much authority. #WhitneyCNN Jesus John 10:10 The thief comes to steal, kill and destroy. I have come that they might have light. #WhitneyCNN Rev. Marvin Winans "Prioritize" Someone lied on Jesus and I want to set the record set. #WhitneyCNN Pastor Marivn Winans preaching and singing his sermon "A land where we never grow old"
Watching Whitney's funeral, very emotional service. This is the first song I ever learned in Church, "Tomorrow"
#WhitneyCNN Rev. Marvin Winans invites the Winans clan to sing. "If you hear language you not understand... don't worry about it because it wasnt meant for you anyway." #WhitneyCNN Rev. Marvin Winans You brought the world to church today. #WhitneyCNN Dionne intro Pastor Marvin Winans gives Whitney's prays. #WhitneyCNN Dionne intro Rickey Minor, Whitney's Music Director met her 30 yrs ago. #WhitneyCNN CeCe Winans "Jesus Love Me" Yes Jesus loves me, for the bible tells me so. I love you Whitney. #WhitneyCNN CeCe Winans Don't cry for me. No one is to blame. My death was meant to me. #WhitneyCNN CeCe Winans sings Don't Cry for me, don't shed a tear. #WhitneyCNN I wish you sunshine on tomorrow. Good friend Good times A love ones touch. #WhitneyCNN Dionne is sharing a few words. #WhitneyCNN In you I can be strong, I look to you. When melodies are gone. I look to you. By R. Kelly. #WhitneyCNN I Look to You by R. Kelly. After all my strength is gone, I look to You. When melodies are gone, I look to you. #WhitneyCNN Pat Houston, she leaves a legacy of music. But what she really leaves for you is her love for God. #WhitneyCNN Pat Houston, Whitney manager and sister-in-law, says Let the Redeemers of the Lord say Hallelujah. Let the believers believe. #WhitneyCNN Dionne intro Pat Houston. #WhitneyCNN Just give the world Love by Stevie. #WhitneyCNN Stevie sings "Love's in Need of Love Today with the church choir. #WhitneyCNN What God gives is never a coincidence sings Stevie. Who can lose with God on my side? #WhitneyCNN The gift of heavens choir of love sings Stevie Wonder. #WhitneyCNN Stevie Wonder sings "Ribbon in the Sky" personalized to Whitney Houston. #WhitneyCNN Dionne intro Stevie Wonder. He sits at piano. #WhitneyCNN Ray Watson says we have to back to the entertainers some love. She loved you. Let's show entertainers respect. #WhitneyCNN You are free. She was a beautiful lady. She carried a bible. God us an angel, to Miss Houston. She shared her with the world. #WhitneyCNN Ray Watson, brother-in-law and body guard. Whitney wanted to drive after shooting Sparkle. He was afraid of stopping. #WhitneyCNN This is a sad time but a glad time. Every one that has spoken about Nippy. I was her body guard for 11 yrs. Ray Watson. #WhitneyCNN Dionne says intro Aretha Franklin as family. Aretha is not there. She is her Godmother. Expression by Ray Watson. #WhitneyCNN Dionne thanks Clive Davis. Dionne talks Whitney about singing The Star Spangled Banner. #WhitneyCNN She came by to play her new music from her new movie "Sparkle". Everyone in heaven is waiting for Whitney to get ready. #WhitneyCNN Clive Davis to Bobbie Cristina always love your mother. She will always be looking out for you. #WhitneyCNN Yes she confessed to Oprah about her battles. She was there when I needed her. Clive Davis was her industry father. #WhitneyCNN Whitney was returning to music. That was her passion. Whitney loved music. Says Clive Davis I loved her very much. #WhitneyCNN Clive Davis reminisces her songs and movie performances. Memories are scorching his brain right now. Last album "I Look to You"
#WhitneyCNN He discovered her singing "The Greatest Love of All" with her mother Cissy. #WhitneyCNN Clive Davis " You wait for a voice like that for a lifetime." You wait for a look like that for a lifetime. #WhitneyCNN Clive Davis lost his parents. He was an orphan with no money. He felt his mother along the way. #WhitneyCNN Clive Davis says he is moved, touched and inspired by feeing the spirit. It is helping him with his grief and her passing. #WhitneyCNN Dionne thanks Alicia Keys intro Clive Davis. #WhitneyCNN I don't want to feel like a dove with no wings. #WhitneyCNN That's a lonely road to travel and a heavy load to bear. A long way to heaven, but I gotta get there. Can you send me an angel? #WhitneyCNN Sometimes I feel like a door with no key. The answer are locked away in me. #WhitneyCNN Can you send an angel to guide me? #WhitneyCNN Alicia Keys sings Sometimes I feel like I don't belong anywhere. #WhitneyCNN Alicia Keys say Whitney was an angel to us. #WhitneyCNN Off you go Whitney escorted by an army of angels to your heavenly Father. Don't you worry Whitney you will be good enough. #WhitneyCNN Rachel Marin at that time. I was your pretend bodyguard once. You set the bar so high. #WhitneyCNN The makeup melted off because of the hot lights. She put on her makeup that she was use to wearing in the music videos. #WhitneyCNN Kevin Costner told everyone that he had taken notice that she was Black. I still felt she was right for the part. #WhitneyCNN Whitney told God she was gonna be like Aretha, Dionne and Cissy. #WhitneyCNN Kevin Costner said that Whitney favorite story was Kevin drinking commune wine like whiskey shots when he was six years old. #WhitneyCNN Kevin Costner shares a story of how his family built a Baptist church and sang in the choir. #WhitneyCNN Suspend our tears and sorrows. Remember sweet Whitney. We had a lot in common. We both grew up in the Baptist church. #WhitneyCNN Kevin Costner sharing stories. The song "I will always love you' almost wasn't in the movie. #WhitneyCNN Dionne intro to Kevin Kostner to come say some words. #WhitneyCNN No more tears. A change has come. A Change has come. It has been a long time. I know she is with Jesus. #WhitneyCNN Rev. Kim Burrell sings Sam Cooke's song "Change Gotta Come" personalized to Whitney Houston. #WhitneyCNN Kim Burrell sings a personalized song to Whitney. "It's been a long time comin'"
#WhitneyCNN Dionne introduces Rev. Kim Burrell to sing Whitney's favorite song. #WhitneyCNN Death has not won. Tears may flow. Don't you dare think that death has won. #WhitneyCNN It feels like death has won. Our hearts our heavy. #WhitneyCNN Bishop T. D. Jakes calls for a word of prayer. A moment to say thank you. #WhitneyCNN B.B. Winans sings tribute to Whitney "When I leave here. I miss your wit. I will miss your charm. #WhitneyCNN B.B. Winans and C.C. Winans wrote a song for his brother who died at 48 years. "Family is here today." #WhitneyCNN B.B. Winans is going to miss crazy Whitney. I am going to miss our first major headline tours. We were sitting in her closet. #WhitneyCNN B.B. Winans is very emotional and crying. #WhitneyCNN Tyler Perry say Whitney Houston love the Lord. Nothing separated her from the Love of the Lord. #WhitneyCNN Pat introduced me to Whitney. She told me about her life. She was very open and candid. #WhitneyCNN Dionne speaks and thanks Rev. Donnie McClurkin. Invites Tyler Perry to come and give words of expression. #WhitneyCNN Don't let go of your salvation. Whitney today is your day. We have church to celebrate. The loving people you see, love the Lord. #WhitneyCNN This is their faith. #WhitneyCNN When you are laid to rest is at an altar. We are here to celebrate the life of Whitney Houston. #WhitneyCNN Hallelujah Glory to God. God we praise. My My Bless you. #WhitneyCNN Come and give Him Praise. Say Amen for the choir. God Bless you. Lord we welcome You. Have your way. Amen. #WhitneyCNN Lord is My Shepard I shall not want. He maketh me to lie down in green pastures. He leadeth me beside still waters. What is the Minister of Music name at the New Hope Baptist Church? #WhitneyCNN "It is well with my Soul"
Hallelujah You're worthy! Hallelujah we praise your name! Wow this new hope mass choir and nj mass choir are amazing #WhitneyCNN . Truly. Amazing. Whitney, we celebrate your departure from this earth because we know that you are in heaven with your Savior, Jesus. Thank you God for sending us the Angel Whitney. What are your favorite memories of Whitney Houston?